it was not turning on for me di a hard reset and it works. can anyone who viewed did post write their phone IMEI. I think I might know a way to help. dona, 11 Dec 2014...hi..can somebody tell me if I should buy da phone or not?hows the internet speed? 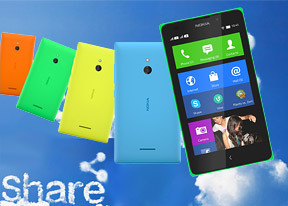 ?...pls re... moreNokia XL is a very good phone. I have been using for the last three months. many features are available for this price. whatsapp, word, PDF all works on this phone. This model is not for mobile GEEKS. It cannot run high end games. Internet and Emails works good. hardware is solid built. Worth the price. 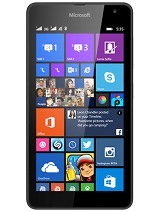 Also get to use features of Android + Windows. Smooth in operation. Battery may not last for 24 Hrs if one uses games + Internet surfing + wifi connection. amaro, 19 Dec 2014Please dose Nokia xl support what sup and viber ; can we read PDF files on it . Thanks in advaceNokia XL is a very good phone. I have been using for the last three months. many features are available for this price. 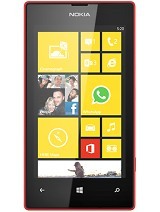 whatsapp, word, PDF all works on this phone. This model is not for mobile GEEKS. It cannot run high end games. Internet and Emails works good. hardware is solid built. Worth the price. Also get to use features of Android + Windows. Smooth in operation. Battery may not last for 24 Hrs if one uses games + Internet surfing + wifi connection. does this phone can install clash of clash ? This phone is not good. 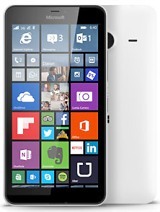 I have used Nokia phones almost all of my life but this one is bad. You can't save webpages for later viewing, you can't download attachment that are of certain sizes and the screen quality is very poor. i am having a problem in my Nokia XL it shows orange,red boundary when i unlock it or sometimes while using it like messaging, playing game etc. can anyone help? Excellent video & camera quality,worth for the price. 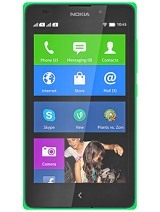 branded nokia xl good body nice look good icon style i m waiting new update .